Myths & Lies Successful Women Kick To The Curb! Debra Fox, International Keynote/Motivational Speaker, Corporate Trainer, and Author, has presented to and trained over 200,000 people in all 50 Continental United States, Puerto Rico, Canada, New Zealand and Australia. Her newest book, "Finding Your Moxie: Myths and Lies Successful Women Kick to the Curb!" released February 15, 2016 and immediately became an Amazon BEST SELLER in the "Women and Business New Releases" category. If you’re the everyday woman, you feel it too – beat down and fed up! The ads, marketing, well-meaning people surrounding our daily lives promoting the message of MUSTS – you MUST have the perfect body, make lots of money, have a college degree, MUST, MUST, MUST! 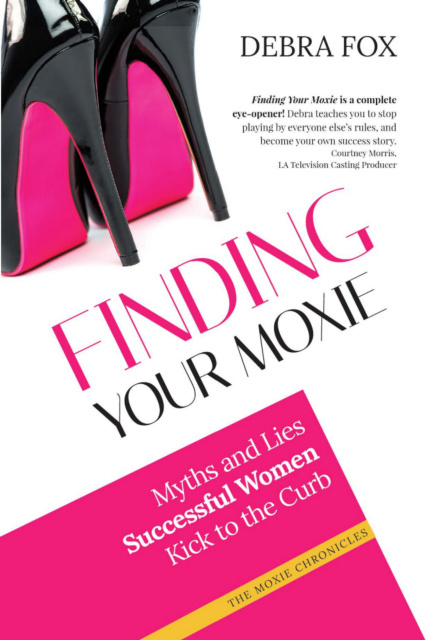 Debra Fox’s Finding Your Moxie is a refreshing update for women trying to thrive in life but struggling to keep up with the myths, lies and half-truths surrounding success that women have to face head-on every day. Success, happiness and fulfillment in life does not result from a checklist – it’s a result of moxie: courage, spirit, energy, know-how, confidence, fearlessness, gumption, and guts! If you have moxie, you won't let minor setbacks stop you, you won’t give up. Debra’s book gives you a witty, straight-forward look at...your life! Debra has lived it all―and tells it all through her own life experience battling these myths with her inner moxie. She’s the coach in your corner that you’ve always wanted – and needed. Get inspired by following these step-by-step instructions on how to develop the moxie it takes to overcome the modern-day myths and stand up for yourself. This is real stuff – real life, really lived! So learn how to stop playing by everyone else's rules, and write your own success story! Book orders can be made at: ORDER YOUR COPY TODAY! !